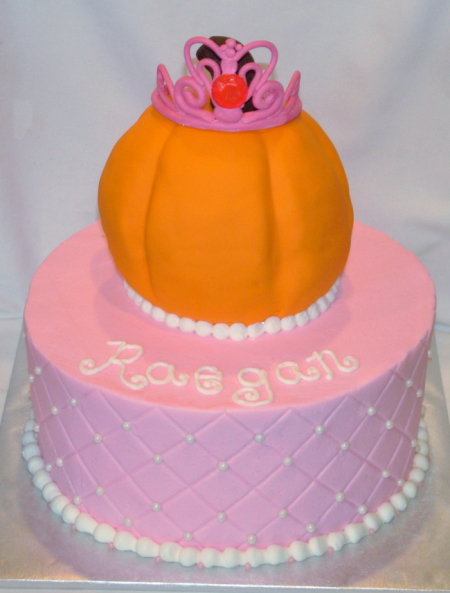 My niece turned 3 this weekend and the theme was pumpkin princess! She likes all things sparkly and pink. 🙂 This cake is a 10″ round with a pumpkin cake on top. The pumpkin was carved out of the wilton ball pan and covered in fondant. The crown is gumpaste with a hard candy jewel on it.